Application Fields: mining, metallurgy, construction, chemistry and silicate, concrete foundation or steel structure base, fixed and mobile site. Applied Materials: it is applied for medium and fine crushing of various minerals such as rock, ore, slag, refractory material, etc. 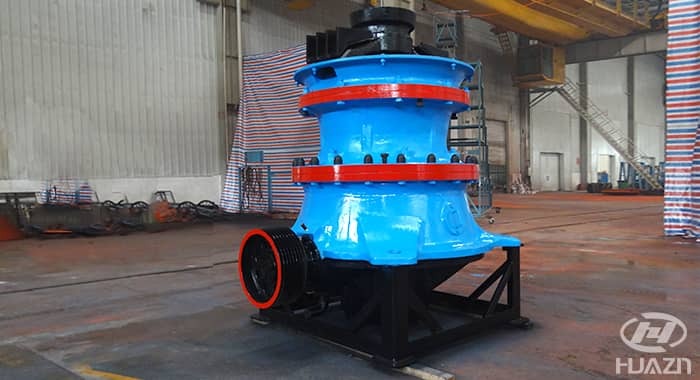 GPY Series Single Cylinder Hydraulic Cone Crusher is one of advanced cone crusher in China, which is developed and manufactured by our company. 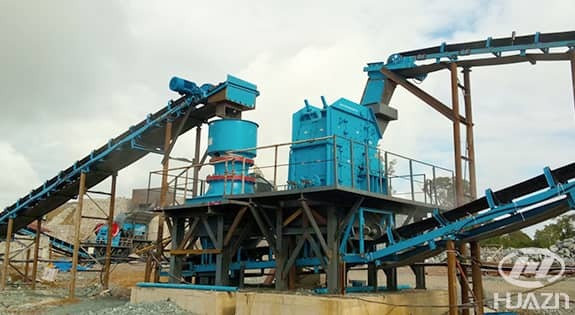 The machine is one kind of high-class product combined with mechanical technology, electrical technology, hydraulic technology and advanced crushing technology. The machine adopts high strength casting-steel frame, alloy forging main shaft and high precision arc-shaped spiral gear driving structure, combined with multi-chambers selection and automation control system, which fulfills the performance and advantages. It can be widely used in secondary and fine crushing work for all kinds of hard materials and rocks to meet customers' various needs for crushing. 1. High Productivity Combined with optimal crushing chamber, reasonable eccentricity, optimal swing frequency and laminating crushing principle, the machine has a large throughput capacity, high productivity, good products shape and low energy consumption. 2. Automation Automation control system can achieve the overloading protection, iron-passing protection, and function of constant-chamber without effect of liner-wearing, can also constantly monitor these conditions such as oil temperature, oil flow, oil pressure motor load and discharge opening size, etc., which ensure the machine work stably. 3. High loading Capacity Optimization design of strong frame construction, two-ends structure (simple support beam) main shaft, unique hydrodynamic lubrication design of copper bush, smart and reliable overload protection system, which ensure the machine have long-term and stable working under extremely bad conditions such as hard rock crushing. 4. 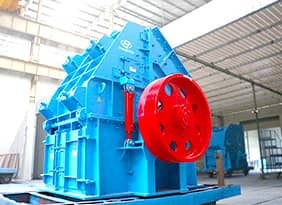 Wide Applicability There are two types of the cone crusher: standard type and short head type. There are several of chambers can be chosen for each type. Different chambers can be changed by ECC. The adjusting of products' classifying can be achieved by adjusting the driving shaft speed to maximize the equipment's value. 5. Low Running Noise and Low Vibration The driving structure of high precision arc-shape spiral gear has advantages of low running noise, high driving ratio and long durability. Low vibration itself and flexibility supporting of the steel structure ensure minimum vibration (which is caused by transmission from machine to foundation) and low foundation cost. 6. 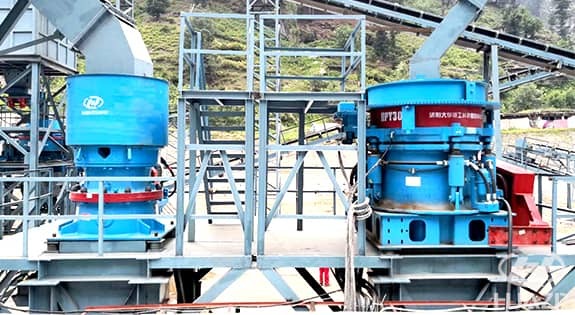 Low Installation Cost GPY200(s) and GPY300(s) cone crusher's advanced compound cup-type piston design has advantage of low installation height and the integral steel base frame ensure easy installation, short time-cost and minimum installation cost. When the cone crusher works without material, eccentric bushing assembly “cling to” the spindle unit revolve with the rack wheel. 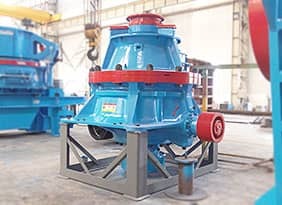 When the material enter into the crushing chamber, spindle assembly (spindle, inner cone) rotate slowly inside the eccentric copper bushing under the resistance of material. 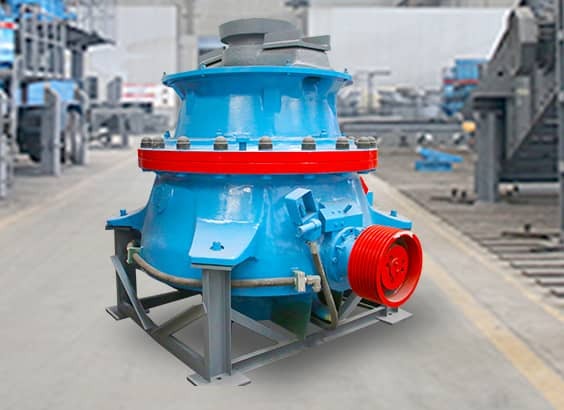 The inner cone is oscillating inside the crushing chamber, which can extruding and crushing the material. 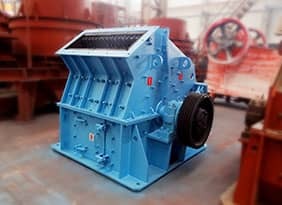 When some unbroken materials like metal block falling into the crusher, the movable cone rise up by the lower piston, which plays the role of adjusting discharge outlet, iron passing protection and eliminate ore blocking. This production line is designed for the hydropower station granite crushing in Laos. The main equipment:ZSW4911 vibrating feeder, ISP1310 impact crusher, C1008 jaw crusher, GPY200S cone crusher, PLS1000 vertical impact crusher, 3YK2160 vibrating screen, 3YK2460 vibrating screen, and belt conveyor, etc. This stone crushing line is applied for the reservoir construction in Pakistan. 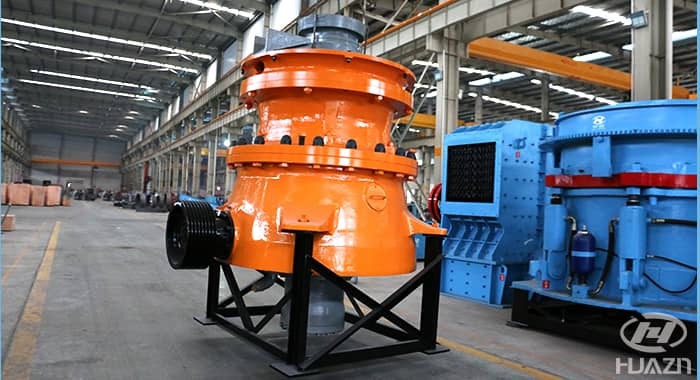 The main equipment: ZSW vibrating feeder, GPY cone crusher, HPY cone crusher, PLS vertical impact crusher, 3YK vibrating screen, and XL spiral sand washer.